The rise of new digital technology demands that hotel marketers increase their efforts to engage, educate, and entice today’s travelers. From the popularity of social media to the use of mobile devices and the growth of certain markets, Hotel Marketing.com listed the following 10 hospitality trends on their way in the coming year. 1. Greater Investment in Property Renovation – As hotels start to see the light at the end of the recession, expect an increase in investments to refresh and revamp all aspects of properties. Many hotels have already started on major renovations to lobbies and restaurants, as well as smaller upgrades to bedding and in-room amenities. As the market continues to improve, hotels will make additional upgrades to remain attractive and competitive. 2. Few Development Dollars on the Debt or Equity Side – While developers may have attractive sites for hotels, they need to wait a little longer to feel the effects of the recovery. Still, developers remain hopeful and know that worthwhile deals will always get done. 3. Moderate Growth for Online Booking – More than half of all travel bookings today are made online and industry experts predict that number to modestly, yet steadily, grow. With 94 million people expected to book online this year, hotels need to embrace this digital direction and incorporate it into their marketing strategies. 4. Higher Demand in Most Markets – The greatest recovery has been made in the top 25 U.S. markets, as well as those most devastated by the recession. Other markets have made small gains, but are still awaiting a strong comeback. 5. 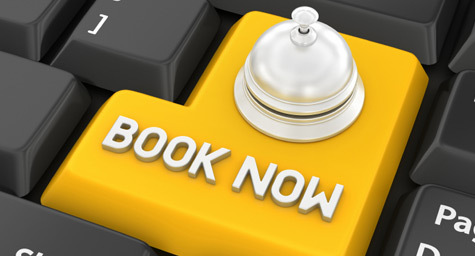 More Mobile Booking and Comparison Shopping – Forrester Research reported that mobile booking quadrupled from 2008 to 2010, while Google forecast that mobile will exceed PCs as the most common Web-access devices by 2013. Expect mobile devices to be used more and more for everything related to travel, from researching hotels to online booking and communicating preferences to hotel staff. To stay competitive, hotels must make sure that their websites are optimized for tablet and smartphone use to make the mobile experience as easy and enjoyable as possible. 6. More Complex Revenue Management – The development of high-tech market intelligence tools now enables hotels to make daily price updates for any upcoming date to match market demand. In addition, companies are continuing to create reports to help hotels plan for future bookings. 7. Pricing Impacted by Distribution Channel Management – In order to maintain rate parity and uphold brand image, hotels will need to understand all aspects of the numerous distribution channels and the returns expected from each. Now more than ever, it is essential that hotels stay on top of the ever-evolving distribution landscape. 8. Brands Competition for Development Deals – Looking ahead, hotels are starting to focus on expansion projects as the economy continues to recover. Smaller hotels will vie for a larger piece of the hospitality industry as they prepare to compete with bigger brands. 9. Social Media to Transform Travel – Today, 22 percent of the travel industry uses social media to generate bookings and revenue, with an additional 27 percent planning to begin over the next five years. Consumers are already embracing this social media technology, so it’s high time for hotels to follow their lead in order to connect with their customers. Plus, the increasing integration of search and social will make these popular platforms into major traffic-driving opportunities for hospitality marketers. 10. Preparation for Growth – Industry experts predict growth to peak in 2016, followed by a more cautious period in 2017. This year, hotels can expect demand to stabilize but for rates to grow beyond the rate of inflation. This means that hoteliers will see hotel values with annualized double-digit growth over the next few years. The coming year appears bright for the hospitality industry as consumers continue to return to the travel experiences they’ve been wanting and waiting to enjoy again. To learn more about the latest trends in hospitality marketing, contact MDG Advertising today at 561-338-7797 or visit mdgadvertising.com.